Bobbi Beale, PsyD, launched Life Adventures for All with her AT colleagues specifically to make Adventure Therapy accessible to our most vulnerable youth and their families. Dr. Beale’s recent projects include increasing resiliency characteristics and reducing trauma symptoms (emotional and behavioral dysregulation) in youth identified for behavioral health services, specifically targeting youth involved with child protection. Children and youth who are involved with the child protection system encounter specific trauma including separation from and loss of parental figures, as well as the challenges related to placement stability, both educational and home, and permanency achievement. Bobbi also currently works with the Center for Innovative Practices at Case Western Reserve University, promoting evidence supported behavioral health services through training, consultation and technical assistance, primarily around home-based treatment, trauma and resilience. She is a clinical psychologist, serving at-risk youth and families in Ohio since 1991; first as a home-based therapist, then a program supervisor, program designer and division director. Bobbi has specialized in designing non-traditional therapy programs for high risk youth populations with trauma histories. Her evidence supported programs have utilized adventure therapy (AT) to increase youth skills and resiliency. (Dana) Maurie Lung, Ph.D., LMHC, LMFT is the co-founding partner Life Adventures For All. She has over 25 years of experience as a therapist, business owner, author, speaker, trainer, evaluator, and professor. She has co-authored two books for mental health professionals as well as a variety of articles about how to experience nature and adventure in order to heal our hearts and restore dignity. To more directly bring this experience to marginalized populations, she collaborated to launch Life Adventures for All. Maurie is also the founder and CEO of Life Adventures Counseling, a community organization that provides adventure-based mental health therapy. Additionally, she is an Associate Professor at Prescott College, overseeing the Adventure-based Psychotherapy and Ecotherapy concentrations. All of this while being a mama to four amazing littles (3 year old triplets and a five year old!) In all of her spare time, she has just started writing a blog (www.muddybootsadventures.net) to reflect on the social justice and parenting learning she is gaining from their toddler logic. 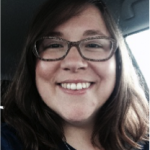 Stephanie Freeman, LPCC, earned her Master of Arts from Walsh University in Clinical Counseling in 2012. Stephanie began her career working at a community children’s mental health agency in the Trauma-informed Day Treatment program. Stephanie provided mental health services including adventure based group therapy, individual therapy and family home visits. In addition to working in the day treatment setting Stephanie led Adventure Therapy (AT) groups and worked periodically throughout the year at a therapeutic camp using the power of nature and experiential activities to help in the treatment process. 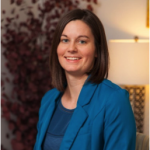 In 2015 Stephanie joined Wooster Community Hospital, currently the Clinical Manager of the Intensive Outpatient and Partial Hospitalization Program providing individual, family and group counseling to adults. Stephanie assisted in the creation of group curriculum, incorporating AT into groups with adults…turns out adult’s love AT just as much as kids! Also, Stephanie has some pretty cute twins that she absolutely adores!! 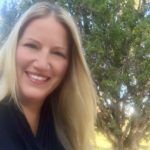 Rachel Freeman started her Adventure Therapy journey as a group facilitator for outpatient groups, day and residential camps, and a trauma-informed day treatment program. Rachel quickly turned her skills toward team management and to keep all those programs staffed with well-trained, team oriented workers! She ventured away from BH briefly, as an office manager for an eye clinic, but elected to spend this year at home after she had twins. Currently she and Stephanie are experiencing (sleep deprived) adventures in parenting with 6 month old twins, Crosby and Sawyer! Life Adventures for All is happy to reunite Rachel with her Adventure past, and she now works part-time, between feeding, changing and napping, as our virtual office manager! 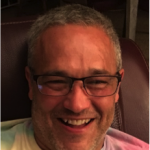 Jason Angione, MS, currently C&A’s Program Manager of the Trauma Informed Day Treatment Program and Training Coordinator, has been a practicing therapist at Child and Adolescent Behavioral Health, a community mental health center in Stark County, since 2001. 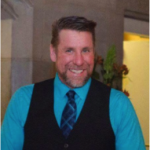 He has served clients and the community throughout the years by providing mental health services such as individual, group, Adventure therapies and consultation. Jason started his career learning the ins and outs of Adventure therapy, its theory and practice, and assisting in the development and implementation of an extensive group therapy and camp curricula based in Adventure Therapy…and loving every minute of it! He has also served as an agency trainer on such topics as Behavioral Interventions and Remediation Techniques, Normal Human Growth and Development, Psychopathology, Violence Prevention and now Electronic Health Records. Alex White, MS is a Registered Mental Health Counselor Intern and brings more than eight years of experience working therapeutically with children, teens, and their families within offices, classrooms, and the natural world. Through both professional and personal experiences, Alex has witnessed the power of human connection as a force for growth and healing. He draws on this as a primary emphasis in his work with clients, striving to recognize and cultivate the profound strength that defines them, even when they struggle to see it themselves. Along with this strengths-based approach, Alex integrates principles of cognitive behavior therapy to offer a nuanced style of counseling that seeks to both validate clients in their own experiences, while also offering new skills, techniques, and perspectives to help them achieve their goals. 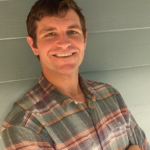 In addition to traditional counseling practices, Alex specializes in adventure therapy, drawing on intentional activities and direct experiences within sessions to promote growth, healing, and positive change. Adventure sessions are designed specifically to meet the needs, interests, and abilities of each client and can range in levels of challenge, from sitting on a beach to sea kayaking to rock climbing. It is meaningful experiences in the natural world that have comprised some of Alex’ most powerful moments in life, and he is excited to share this passion with the Tampa Bay community through his work as a counselor. At Life Adventures, Alex offers both traditional and adventure-based counseling services, including walking in parks and beaches, hiking in the woods, sailing, sea kayaking, indoor rock climbing, and low and high challenge course experiences. These opportunities may be of benefit for children, teens, adults, couples, families, or anyone motivated to take their counseling experience beyond the office walls. Alex has trained extensively in the use of these modalities therapeutically, and possesses Wilderness First Responder, Lifeguarding, and CPR certifications to ensure not only a meaningful but also safe adventure experience. Alex earned his M.S. in Clinical Mental Health Counseling from Prescott College, with a concentration in Adventure-Based Psychotherapy, where he now also serves as an instructor. In addition to working as a mental health practitioner and adventure therapist, Alex has coordinated outdoor summer programs, facilitated teambuilding sessions for business and schools, and served as a mentor and advisor for high school students supporting postsecondary success. Sean Beale, successful plumber by day (Jensen-Reiche Plumbing & Heating, owner), and Adventure Jack-of-all-Trades whenever we can steal him away. You may see him behind the camera this week. 20 years ago, Bobbi said she needed some help “building some stuff” for her clients, he showed up with tools and enthusiasm! Sean ran backpacking and portaging trips in Canada before he worked as a group facilitator and program manager at a BH center for 5 years, but he never stopped supporting AT services with his trade skills and sage advice. Sean has built adventure equipment, tent platforms, and even a dining pavilion, to make sure our youth have access to effective services.